Busy Bee Movers takes pride in offering the most trusted and professional relocation service in Dallas, TX for over 25 years. With our experience in relocation and a team of skilled staff, we can ensure that your move is more of an adventure than a stressful event. We are available 24 hours a day, for your convenience. With 25 years of relocation experience, we have an enormous capacity for meeting your packing and moving needs in Texas. 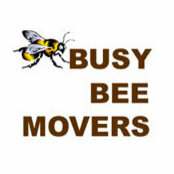 Residential moving, Commercial moving, Corporate moving, Delivery service, Loading and unloading. Big scale moving. Dallas, McKinney, Garland, Arlington, Frisco, Carrollton, Irving, Mesquite, Rockwall, Richardson, Terrell, Plano.